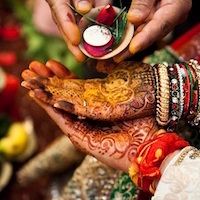 People often think that wedding invites don’t matter at all but it is absolutely false. They do matter a lot. They give the first taste of your class to people. Wedding invites should be elegant. It should be eye-catching. So here are a few unique wedding invitation ideas. If you are a nature lover, this wedding invite is absolutely for you. It’s soft green colour reflects nature. It will show your love for the greens. If you want to go one level up, you can gift a bottle of something natural to the guests. It can either be a jar of organic honey or a bottle of aloe vera gel. Anything that reflects the essence of nature can do wonders. This wedding invite in royal blue would definitely make your invitations look like a royal one. The beautiful blue colour along with the golden sparkling work at the cover will give it the elegant touch that would make it look like a true royal. If you are looking for a simple, yet elegant wedding card, this is surely a go-to for you. Soft pink is the colour which can definitely melt you any time. These invites in light pink colour and golden peacock work at the front looks breathtakingly beautiful. This combination of soft pink and gold is just so amazing and is surely one of the most good looking wedding cards ever. The tassel attached at the cover looks even more beautiful. So, if you like pink colour, definitely go for this pink and gold wedding invite. The renowned Madhubani painting originated in a small village, known as Maithili, of the Bihar state. It’s handmade by the women and looks really elegant. These Madhubani paintings have made a special place in the hearts of people all over the country. Ladies from all over the country want to get a saree with Madhubani painting on it. Madhubani painting has crossed the traditional boundaries and started reaching connoisseurs of art, both at national as well as the international level. They can be printed on wedding cards and can make it look really unique. It will give a different touch to your wedding invites. If you want to do something very different, these Madhubani painting wedding invites are for you. Red is the colour of love. It symbolises true love. 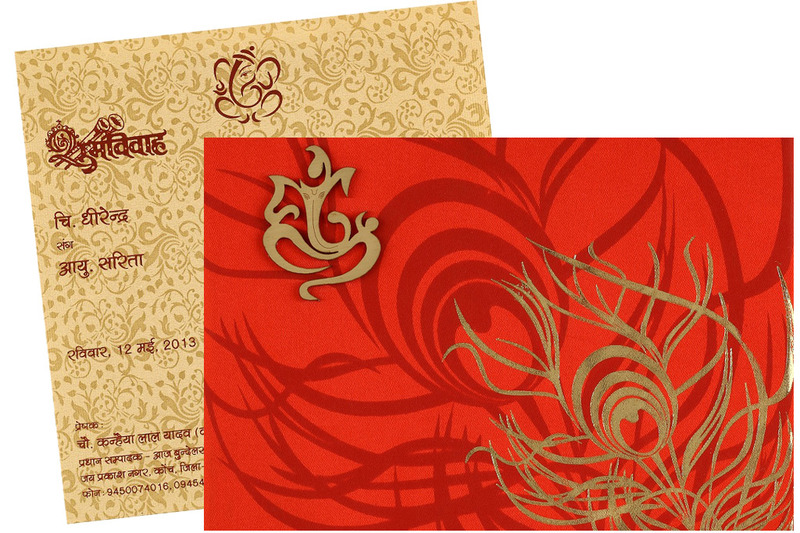 These red wedding cards with golden touch will surely make a beautiful wedding invite. If you want to go the traditional way, yet you want your wedding card to look stylish, this is a go-to for you. There is Lord Ganesha at the front page. In India, whenever we do something really auspicious, we worship our Ganpati Bappa. This traditionally stylish wedding card is something you can always think about. If you are willing to spend quite a large amount on your wedding card, this is something you can try. 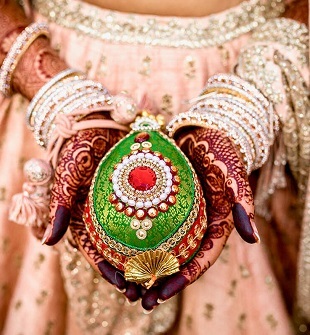 This wedding card with an embedded beautiful brooch at the top will make it look too stylish to handle. These wedding invites look really pretty. 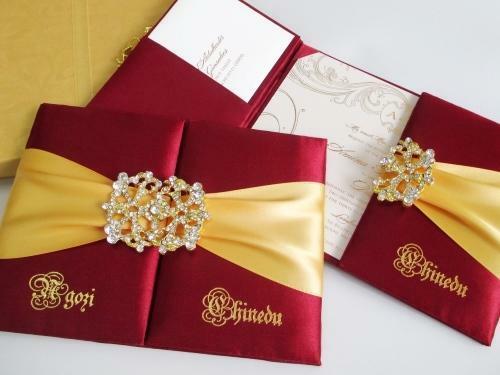 It will make sure you look like a royal while you give this wedding invitation to your guests. Make sure to keep the wedding invites simple yet beautiful. 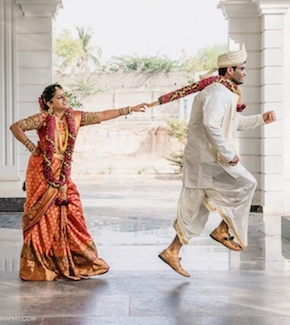 There is no need to spend a fortune on wedding invites. Try to save some money on wedding invites and use it somewhere else. Keep it simple because simplicity defines beauty the best.